Omnibuses2.0 A new exhibition opening at Plymouth City Museum and Art Gallery on Saturday 25 July will celebrate key anniversaries for two of the South West’s most well-known landmarks. 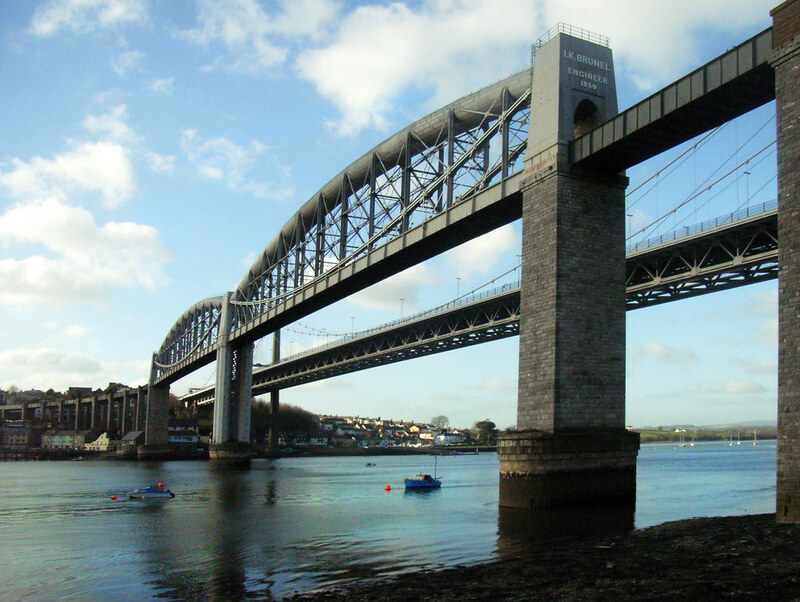 ‘Super Structures’ will mark the 150th anniversary of Isambard Kingdom Brunel’s Royal Albert Bridge, which opened on 2 May 1859 and still carries the railway over the River Tamar to this day. It will also highlight the 250th anniversary of the first lighting of Plymouth landmark, Smeaton’s Tower. This ‘super structure’ set the pattern for lighthouse design and construction when it was built on the notorious Eddystone Reef, 14 miles out to sea, in 1759. The Museum will be offering related events alongside the exhibition including ticketed lunchtime talks at 1.10pm on 15 and 22 September and 13 and 20 October. Tickets are free. They can be booked on 01752 304774 or collected from the Museum’s Welcome Desk. The Museum also hopes to hold a special event to mark the Smeaton’s Tower 250 anniversary on Friday 16 October – full details will be confirmed soon. Super Structures will be on display until Saturday 17 October. Opening hours are 10am to 5.30pm Tuesday to Friday and 10am to 5pm on Saturdays and Bank Holiday Mondays. Admission is free. Call 01752 304774 for more information.